Weddings are exciting events because everyone gets the opportunity to get together with the people they love and celebrate the positivity, happiness and joy that comes from true love. Before a wedding can happen, everyone must put on their thinking caps. Brides and grooms must plan out how they want their wedding to work, and guests must consider what they’ll get as a wedding gift. Whether you’re putting together your registry or trying to come up with something to get your best bridal friend, put your mind toward what’s fashionable. Read on for eight ideas that will inspire you to find the best fashion-forward gifts for any bride-to-be. Traditionally, after a wedding, the bride and groom travel away to their romantic honeymoon. Although not everyone can do this right away after their wedding, traveling somewhere romantic is still in the back of every newly married couple’s mind. 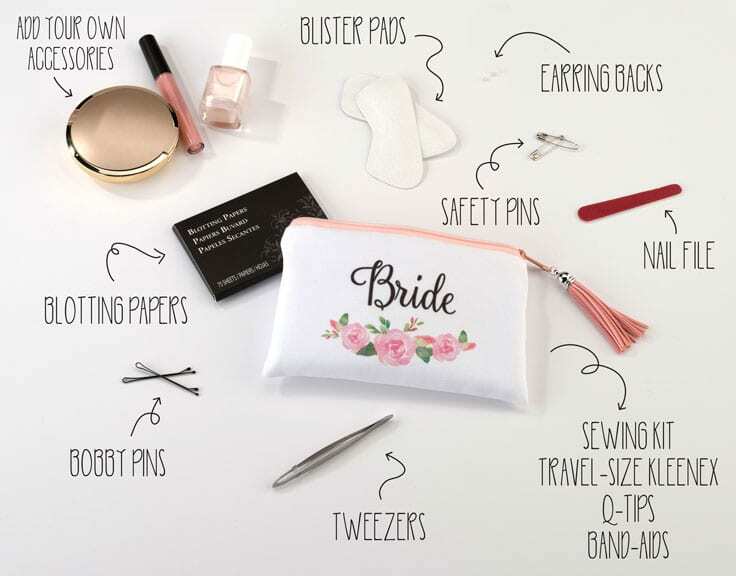 To get wherever they want to go, they’ll have to start packing, which is where a bridal gift can come into play. Look around to find a travel bag set that will blow any bride’s mind. Pick a hardtop suitcase in a cute pattern with a matching makeup bag. Or, select a stylish duffel bag with a matching carry-on bag for any couple that’s going to be flying for their honeymoon. 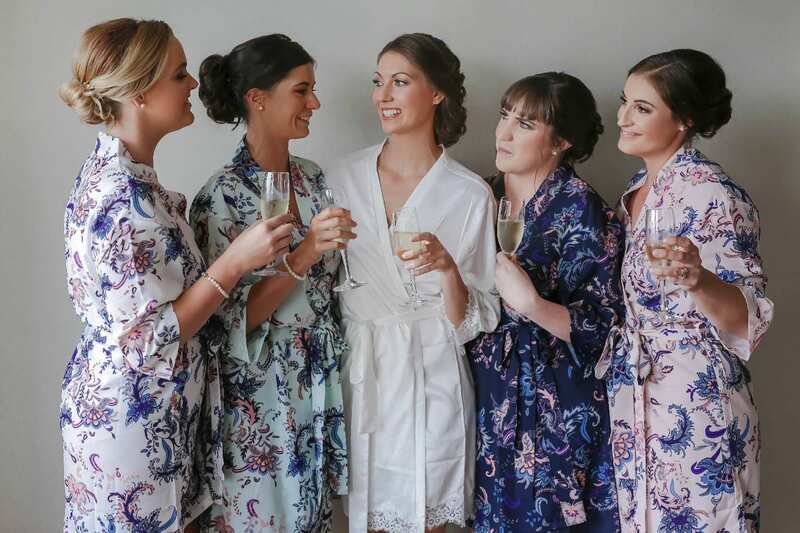 You can check out fashionable kimono robes that will be perfect for those Saturday mornings when a newly married bride and groom will want to hang out around the house in their slippers. They flow as you walk and look gorgeous, so they’ll have that unique appeal any bridal gift should have. Life is an adventure, and some say that getting married is the start of the greatest adventure life has to offer. If you enjoy going out for a hike or know a bride-to-be who does, think about getting some chunky hiking boots as a gift. There are always certain things that people will struggle to get for themselves, and a nice pair of hiking boots to show off her outdoorsy side makes that list. Any adventurous fashionista will love them, and they’ll last for many years to come. Celebrating a new marriage doesn’t stop just because the reception has come to an end. Any bride and groom will want to keep the party going by having dinners with people who couldn’t make it to their wedding. That means evenings out on the town and a bride who will need a clutch. Find a sparkling, eye-catching clutch, so the bride will never be without the perfect accessory for a nice dinner. Plenty of married couples enjoy a honeymoon somewhere out on a quiet beach in the warm sunshine. People often give honeymoon gifts like beach towels or a bikini to brides, but you can take it a fashionable step further with a wide-brimmed hat. They’re becoming more popular with social media influencers because they look cute with any swimsuit. See what you can find, and which hat strikes you as something the bride you have in mind would wear. If nothing catches your eye, go for a classic look with a straw sunhat or one that’s slightly floppy for more of a casual, chic look. There’s something about the softness of cashmere that makes any outfit feel runway ready. Give a bride that gift with a set of cashmere scarves. 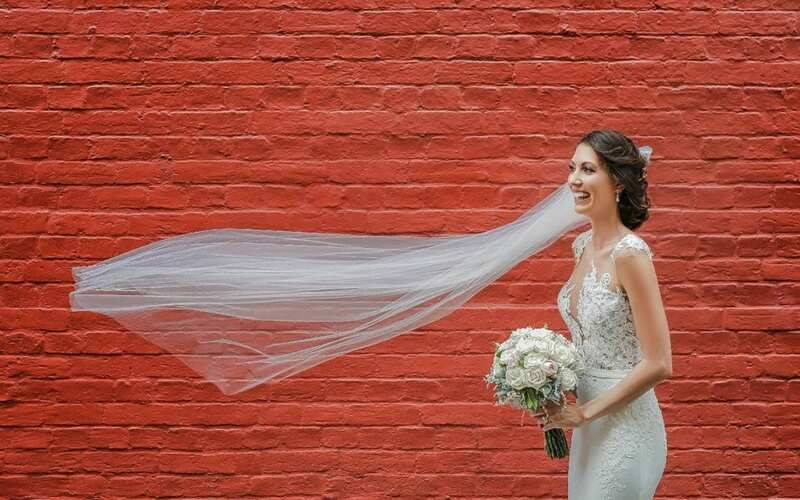 It’s a well-made material that will last a long time, and it’ll help keep the bride warmer than a regular silk or cotton scarf. Look for ones that will fit with fall and winter color schemes, so she’ll be able to pair them with her outfit whether it’s just a little crisp out or snowing daily. Help your bride relax in style with a comfy cardigan throw. They’re perfect for so many occasions that she’ll love to get something she can wear nearly anywhere. Cardigans are appropriate to wear for business-casual settings, out to a meal or even just around the home. Make sure to get one that’s well-made, so it will end up being one of those gifts she’ll love for years but would never think to get for herself. Jewelry is a classic wedding gift for brides, but you can make yours even more personalized. 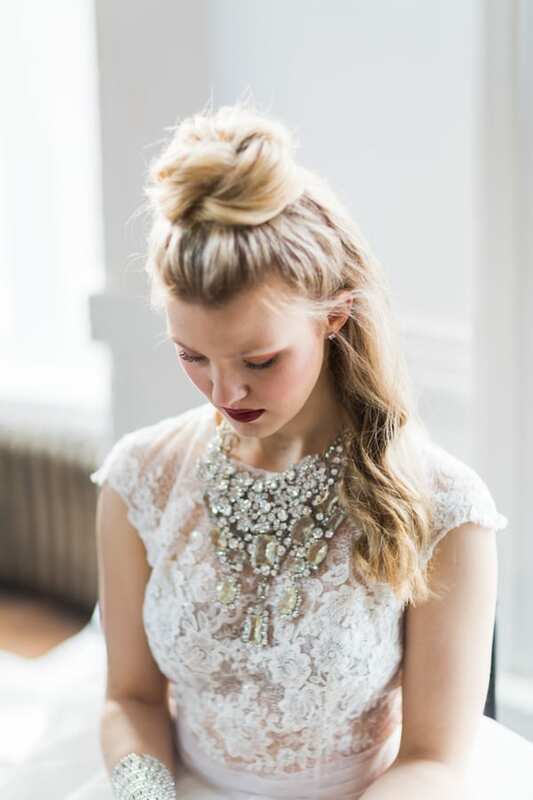 A statement necklace will be something a bride could keep through any changing fashion trend. Make your gift even sweeter by engraving the initials of the newly married couple on the back, along with their wedding date. If you’re trying to find the best gift for a bride who loves to keep up with the fashion world, there’s no reason to worry. Think of what she loves to wear or would like to get and make her dreams come true. These eight fashion-forward gifts are some of the best to give — they’ll immediately surprise and excite the bride, and she’ll love how thoughtful you were to pick out the gift.